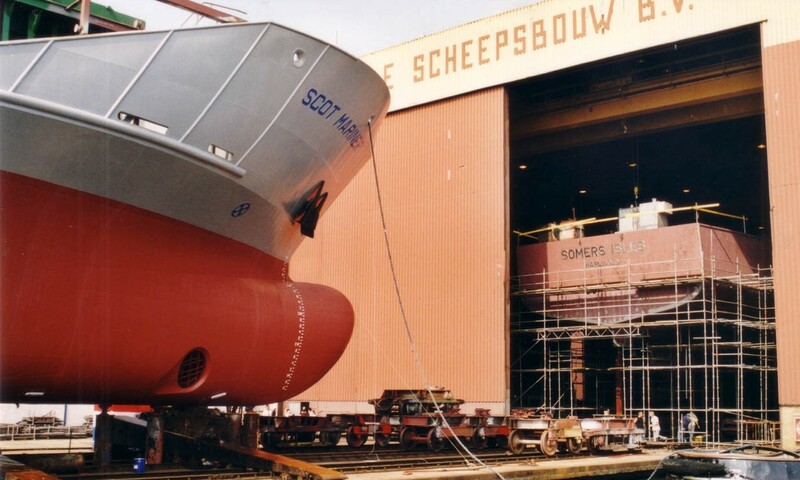 More pictures from the archives today: Photos of the nearly-ready-to-sail Scot Mariner before the accommodation block was installed next to her future sister ship the Scot Isles, originally named the Somers Isles. 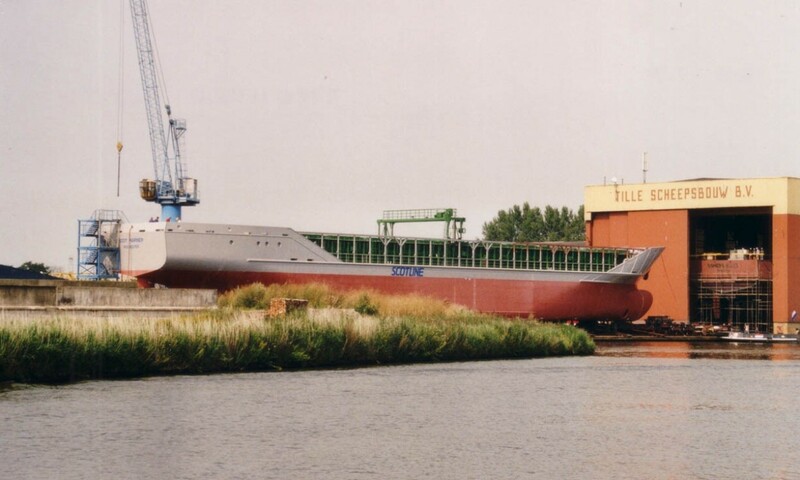 The photos were taken in 2001 when the Scot Mariner was launched at the Tille Scheepsbouw near Kootstertille in north Holland. When Betty Millatt launched the Scot Mariner, the Somers Isles was still hiding in the barn at an earlier stage of manufacture. Little did anyone know at the time that the two vessels would later become sister ships at Scotline.